Be ready for any situation with the Snowflake Stainless Steel Multi Tool. 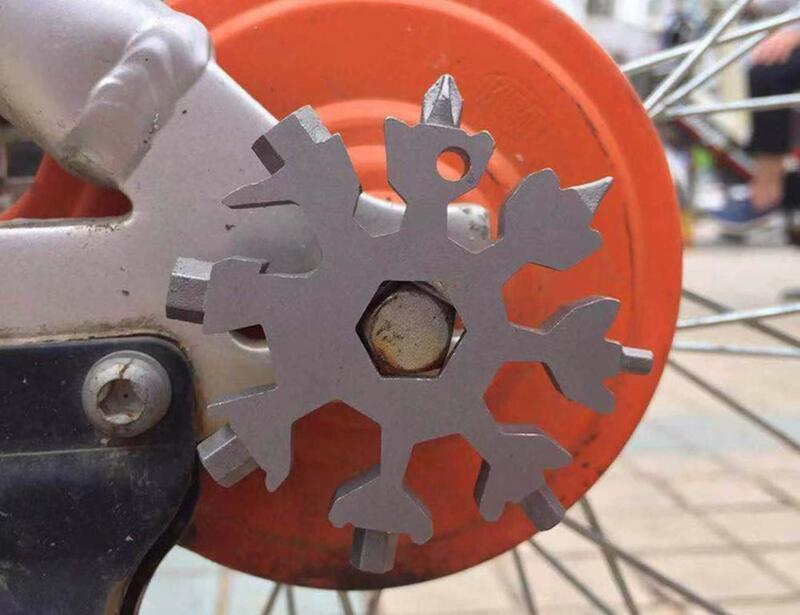 Shaped just like a snowflake, this everyday carry combines 18 tools in one. Designed to be used in many different conditions, the Stainless Steel Multi Tool is far from a simple tool. Thanks to its special design, the EDC offers maximum functionality despite its compact size. In addition, it easily fits in your pocket, toolbox or car. The multi tool comes with a bottle opener so you can easily open a beer or soda on the go. Likewise, it can turn a screw as well as fix a bicycle and other appliances whenever you need. Weighing just 2.3 ounces, the Stainless Steel Multi Tool is just over two inches long, making it the ideal keychain companion.